If you are not completely satisfied with your 911Tracker System, you may return the device within 30 days from the date of purchase for a full refund, subject to the terms and conditions below. You must return the device in as-new condition in the original packaging with all components included, and you must deactivate your service by calling 911Tracker Customer Support at 1-877-744-3361. 911Tracker will provide you with a prepaid shipping label for your return. If you fail to return all items originally packaged with your device, 911Tracker may charge you a $25 restocking fee. You will be required to include an original receipt as proof of purchase. For items returned within the 30-day period, 911Tracker will refund the purchase price paid, less any restocking fees if applicable, and refund any prepaid charges for unused Service Plan, if activated. Refunds may take up to 30 days to process after you return your device and deactivate your service. Returning your device does not automatically cancel your service. You must call 911Tracker Customer Support at 1-877-744-3361 to cancel your service. This limited warranty covers defects in materials and workmanship in your 911Tracker Tracker for one year from the date of purchase. 911Tracker, at its sole election, will repair your device or will replace your device with a new or refurbished unit. Devices replaced under this warranty become the property of 911Tracker. Replacement devices are warranted to be free from defects in materials and workmanship for 90 days or the remainder of the Limited Warranty whichever is longer. This Limited Warranty does not cover defects or damage caused by accident, misuse, abuse, neglect, fire, water, other acts of nature, power surges, unauthorized or improper modifications or repairs, improper maintenance, usage not in accordance with the product instructions, improper installation, or usage or storage in unsuitable physical or operating environments. 1. 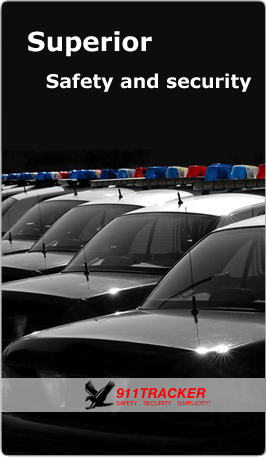 Call 911Tracker Customer Support toll free at 1-877-744-3361 for return instructions. Customer Support is available Monday-Saturday from 8:00am to 6:00PM Pacific. 2. After you provide the customer support representative with your email address, your account number and your account password, 911Tracker will provide you with the forms and instructions for returning your device. 3. You must ship the device in the original packaging, and you must include the original packing slip and all items that shipped with the device. 4. Attach the prepaid return shipping label and return by mail. If the warranty period has expired, you may be able to obtain repair or replacement service for an additional fee. Please call 911Tracker Customer Support at 1-877-744-3361 or visit our website at www.911Tracker.com for more information about out-of-warranty repair and replacement options. 911TRACKER, INC. MAKES NO OTHER EXPRESS WARRANTIES. ANY IMPLIED WARRANTIES, INCLUDING IMPLIED WARRANTIES OF MERCHANTABILITY OR FITNESS FOR A PARTICULAR PURPOSE, ARE LIMITED IN DURATION TO THE PERIOD OF THE EXPRESS WARRANTY. SOME STATES DO NOT ALLOW LIMITATIONS ON HOW LONG AN IMPLIED WARRANTY LASTS, SO THE ABOVE LIMITATION MAY NOT APPLY TO YOU. YOUR REMEDIES ARE LIMITED EXCLUSIVELY TO REPAIR OR REPLACEMENT. WE WILL NOT BE LIABLE FOR ANY INCIDENTAL OR CONSEQUENTIAL DAMAGES ARISING FROM THE USE, PURCHASE OR REPAIR OF THIS PRODUCT, INCLUDING DAMAGES FROM LOSS OF DATA, LOSS OF PROFITS, AND LOSS OF USE. SOME STATES DO NOT ALLOW THE EXCLUSION OR LIMITATION OF INCIDENTAL OR CONSEQUENTIAL DAMAGES, SO THE ABOVE LIMITATION OR EXCLUSION MAY NOT APPLY TO YOU. Copyright © 2015, 911Tracker, Inc.